Robert Eden, a biodynamic winemaker, has built the world's first hemp cellar with Château Maris. 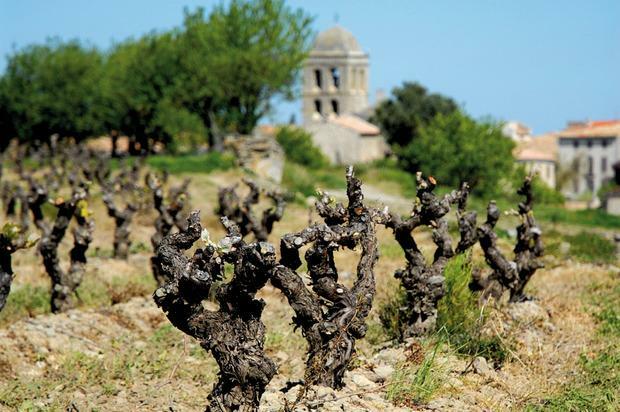 When the vineyard was purchased in Languedoc, the initial yields were lower than expected. The soil was dead, due to the previous farmer's overuse of chemical fertilizers and pesticides, so we looked at ways of rejuvenating it, using compost. Biodynamic preparations were added to one organic compost pile and another was left alone. After a while the biodynamic pile container far more living organisms so the decision was then made. Winery NotesBright ripe red cherry and pomegranate notes. It’s made to be a Bistro by the glass pour. Wine Advocate 91 " I found the 2013 Minervois la Liviniere La Touge very Rhone-like, with subtle leather, spice and garrigue mixed with plenty or raspberry and blackberry fruit. Forward, supple and fruit loaded, with medium-bodied richness, it will drink nicely on release and evolve through 2021.